Bilaspur is the second largest city of Chhattisgarh state and it houses the high court of Chhattisgarh state after it was constituted in the year 2000.The city is known for its historical and cultural monuments. Because of the reason of the high court situated in this city, Bilaspur is also known as Nayaydhani meaning the legal capital. It is also popularly referred "Dhaan Ka Katora" (bowl of rice) for it is one of the largest producers of paddy in the country. Bilaspur is flanked by Koriya district in north, Shahdol district of Madhya Pradesh in South, Raipur district in East and Korba, Janjgir district in West. 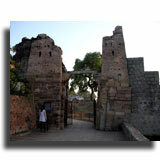 Originally Bilaspur belonged to the Kalchuri dynasty of Ratanpur.The city of Bilaspur became significant during the invasion of Marathas in 1741.After Bilaspur came under the control of Marathas it suffered the atrocities of the harsh and extortionist Maratha rule for a period of sixty years. Finally after the death of the last Maratha ruler Bilaspur came under the control of the British East India Company. This fair falls in the month of March and is celebrated for a week. This is attached with the cattle wealth. This fair is held to commemorate Gugga, a Hindu Rajput young prince who overcame his enemies heroically. It is generally believed that the worships of Gugga saves from the danger from the snakes. Group of singers praise the heroic deeds of Gugga.It is celebrated in the month of August. The Baisakhi is a seasonal festival. It is celebrated all over the district by all the classes of people. Hindus, Muslims and Sikhs celebrate it. It falls on the first day of Baisakh on the 13th of April. People put on new clothes and prepare halwa and other tasty dishes. A fair is held at many important places. 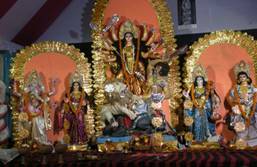 Other major celebrations of Bilaspur include the common festivals celebrated in the country like Ganesh chaturthi, Diwali and Shivrathri.These festivals are celebrated with great fun and enthusiasm. The original temple of Laxmi Narayan was in the old Bilaspur town was drowned in the Gobind Sagar Lake and only after this the new temple nestling the Lord Shiva, Laxmi Narayan, Lord Rangnath, Goddess Durga and Baba Bengali was built. This temple is close to the bus stand of the new Bilaspur. Shivalaya Bachhretu is dedicated to Lord Shiva and the temple also has a huge statue of nandi.This temple is situated on the western slope of Kotdhar. 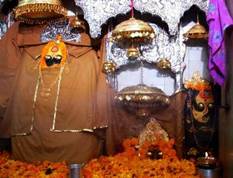 This temple which houses the idol of Baba Nahar Singh is situated at Dholra and he is believed to be an incarnation of God. He has other names like Bajia, Peepal Wala amd Dalian Wala. It is believed that couples who dont have children when they visit this temple are said to blessed with children. This temple is situated at a distance of about 20 km from Bilaspur in a place known as Markanday and is named after the sage Rishi Markanday. This temple built by Raja Bir Chand in 8th century is one of the most important Shakti Peeths of India in Bilaspur. This is a very ancient temple which is nearly 400 years old and was built by King Kalyan Chand.This temple is located on a hilltop at Baroha, 2 km from Naras village of Bilaspur. The prominent feature of this temple is that it is built in the middle of a tank and it houses the statue of Sheetla Mata. This ancient monument of the Fort of Bahadurpur is situated in one of the highest point of the district near Tepra Village. 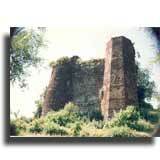 Fort of Bahadurpur is at a distance of 40-kms from Bilaspur. 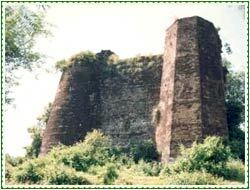 This fort of Sariun became significant during the truggle between the erstwhile State of Bilaspur and Kangra at the time of minority rule of Mohan Chand.It is at a distance of about 58-kms.from Bilaspur. 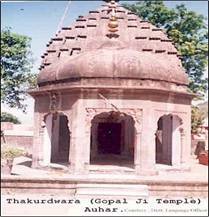 The Thakurdwara in Auhar was built by Rani Naggar Dei.The Thakurdwara nestles the idols of Shaligram’ and ‘Narsingha.The other features of this temple include the beautiful mural paintings. This place also accommodates a water tank and a guest house for the comfort of the travellers. Though only the ruins of this fort remains now it was once of great significance corresponding to all the four yugas with grandeur and splendor. It is located at a distance of about 25kms away from Bilaspur. 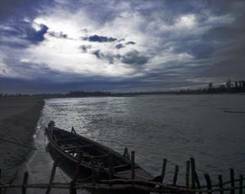 Gobind Sagar is named after the last guru of Sikhs, Guru Gobind Singh.Gobind Sagar lake one of the most important place of interest in Bilaspur, is a huge reservoir on the Sutlej river. It spreads over an area of 170 sq km and its length extends up to 90 km. 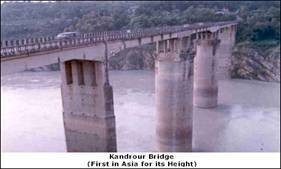 Kandrour Bridge at a distance of about 8kms from Bilaspur is one of the highest bridges in the world and it also ranks first in Asia. It took nearly 6 years to construct this bridge. The bridge is about 280 meters with a breadth of about seven meters and the height above the lowest river bed below is about 80 meters. 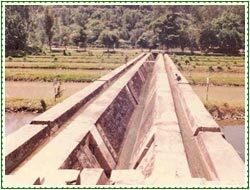 This fish farm is situated on the road towards Mandi and it is at a distance of about 15kms from Bilaspur.Deoli Fish Farm was established n the year 1962 spreading over an area of about 4.4 hectares. The farm houses two big brood stock tanks and 14 nursery ponds. Located in Bilaspur District of Chhattisgarh, Achanakmar Wildlife Sanctuary was established in 1975 and covers an area of 552 sq km. It is set in the beautiful sal forests of the Malkal Hills. Tiger, leopard, bison, spotted deer, blue bull, sloth bear, python, gaur, chital, wild bear, striped hyena, jackal, Indian wild dog, sambar, four-horned antelope and chinkara are the common fauna found in the sanctuary. The shopping list in Bilaspur would include brassware, metal works, antiques and jewelry. The list is not complete without items like woodcrafts and bamboo crafts, Bell metal items, Wrought iron items, Terracotta, Stone-sculpting and Cotton fabrics which are easily available in any private shops and government emporium.Bilaspur is known for its Kosa silk sarees and dress materials. The tourists attraction in shopping mainly includes hand woven fabric, Pithora paintings, colored beads and chunky jewellery, Dokra metal animals and figurines, carved woodwork are some special things available. The road-network in Bilaspur is excellent. The National Highways (NH) 6, 16 and 43 connect all the major cities and towns of Bilaspur to other parts of the country. Bilaspur lies at the midway point on the Mumbai-Howrah line. As such, a lot of the major trains halt at this station. It is well connected to cities like Bhopal, Indore, Nagpur, Kochi, Mumbai, Chennai, Kolkata, Bangalore and Hyderabad. The state has a domestic airport, which is linked, to almost all major airports in the country. The airport in Bilaspur is located in Chakarbhatta, which is situated at a distance of about 10 kms away from the city.